Hillsborough, NJ – Country Classics, an award-winning home builder based in central New Jersey, announced today that it has been recognized as a Foundation Builder in the 2018 Annual Builder Achievement Awards Program from 2-10 Home Buyers Warranty (2-10 HBW). The Foundation Builder Award from 2-10 HBW is a lifetime achievement award, and is given to builders that exhibit a long-standing tradition of providing exceptional customer service and protection to their home buyers. 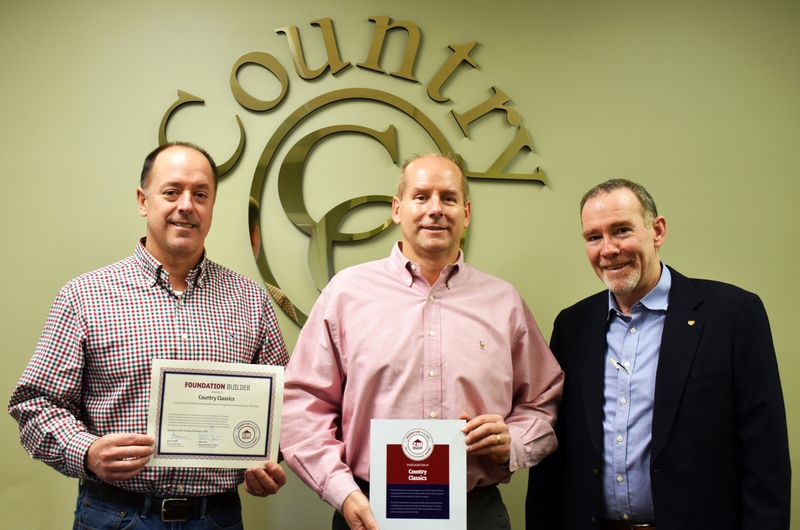 Country Classics displays a tenured devotion to doing things the right way and building a business based on integrity, trust and reliability. The 2018 Annual Builder Achievement Awards Program period ran from Nov. 1, 2017 through Oct. 31, 2018. To learn more about the Builder Achievement Awards Program, visit: 2-10.com/builder-awards.